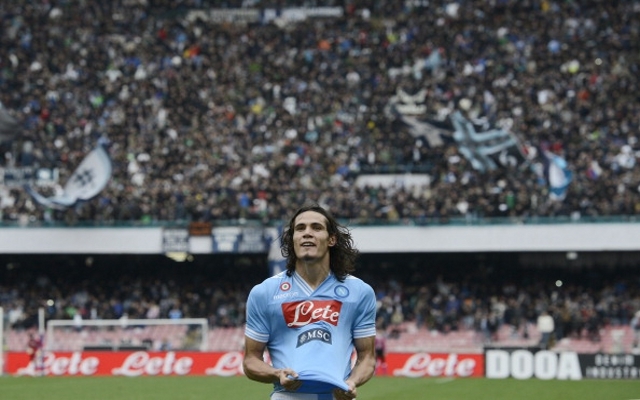 Manchester City expect to edge Real Madrid in the chase for Napoli star Edinson Cavani. The Daily Mail claims that Manchester City are leading the race to sign Napoli star Edinson Cavani for big money this summer, and will lure him to the Premier League with enormous wages of £256,000 per week. The striker has enjoyed another successful season in Serie A, leading the league’s scoring charts with 22 goals. His ability to find the back of the net has helped Napoli mount a title challenge with reigning Champions Juventus, though they are likely to narrowly miss out on winning the Scudetto. Despite Napoli’s rise, Cavani would be tempted by a move to a bigger club, and has attracted attention from Real Madrid and Chelsea as well. But City currently hold all the cards, as they are willing to show their ambition by spending big money on the Uruguayan forward. He is likely to be one of many signings this summer, as the Etihad club will look to build a stronger squad to try and win back the Premier League title from rivals Manchester United next year. City boss Roberto Mancini was unhappy with the club’s transfer dealings last pre-season, and blames that for his side’s failure to properly challenge United this year, though it is not yet certain that the Italian will keep his job beyond this season.